Walmart has the option for you to sell directly to consumers on Walmart.com as a 3rd party seller, or Walmart can post your products on Walmart.com, and purchase them from you when they receive an order. If you have a Walmart Supplier Center, instead of Seller Center, you will need to have a WalmartDSV integration in Zentail. Request a WalmartDSV integration be added to your Zentail account. Enter your Consumer ID and Private Key into Zentail. Enter a Walmart Ship Node for each Warehouse to be used for 1P Walmart orders. Get your Walmart Vendor ID. You can do this using the chat feature (lower right), or in discussions with your onboarding analyst. These are accessible in your Supplier Center by going to the gear icon in the top right and selecting API Credentials under the Administrator Options. Copy and paste the Consumer ID and Private Key into the corresponding fields on your WalmartDSV integrations page in Zentail. 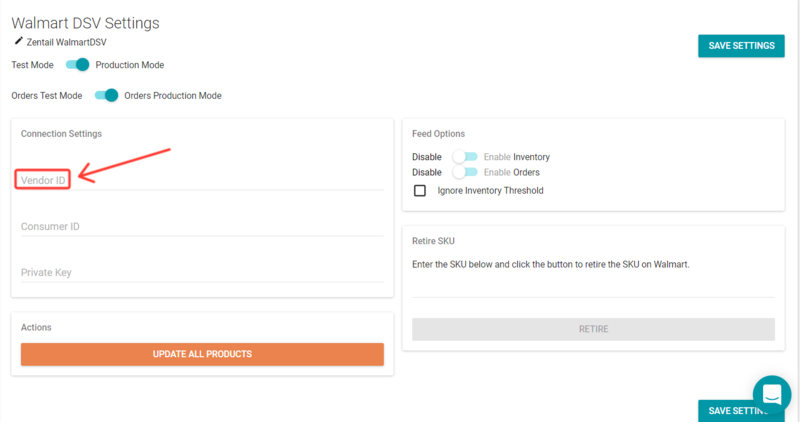 These are accessible in your Supplier Center by going to the gear icon in the top right and selecting Distribution Facility under DSV Settings. In that view, you'll be able to see your different warehouses and a "Show Details" button. Once clicking, you should see a Warehouse ID next to the name. 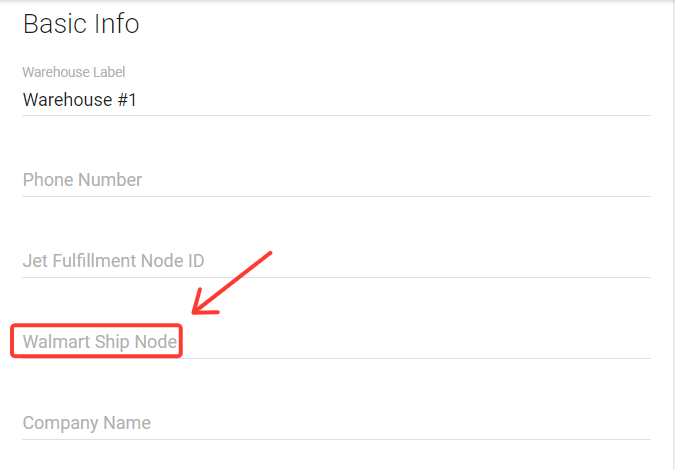 Copy this value and paste it into the Walmart Ship Node field on the warehouse in Zentail from the three vertical dots > Account Settings > the warehouse. Unfortunately this is not easily visible in the supplier center, so the easiest way to get it is to go to Manage Items (middle left) > Download (middle right) and get the Vendor ID from the downloaded excel file. Note: this should match your first Distribution Facility ID. Punch the Vendor ID into the corresponding field in the Integration Settings for WalmartDSV. Product data, new products, and product pricing is managed directly in Walmart. Zentail manages the inventory and orders for those products.